Cyclades is an island complex archipelago emerging from the deep blue Aegean sea, forming a circle around the sacred island of Delos. Their name derives directly from the greek word ‘’kyklos’’ which translates for Circle. 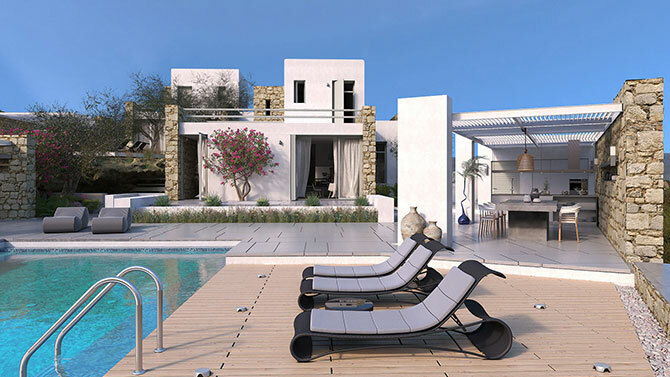 They are considered to be the pearl of the Greek islands, featuring idyllic landscapes. Cycladic islands are characterized by a scenery variety of steep mountains, vineyards, churches and picturesque white painted villages on top of precipitous high cliffs. Paros is among the most popular and most celebrated islands of Cyclades, well known worldwide for the unique traditional architecture, its exceptional beaches, its idyllic sceneries, the amazing sunrise & sunset views as well as its nightlife. 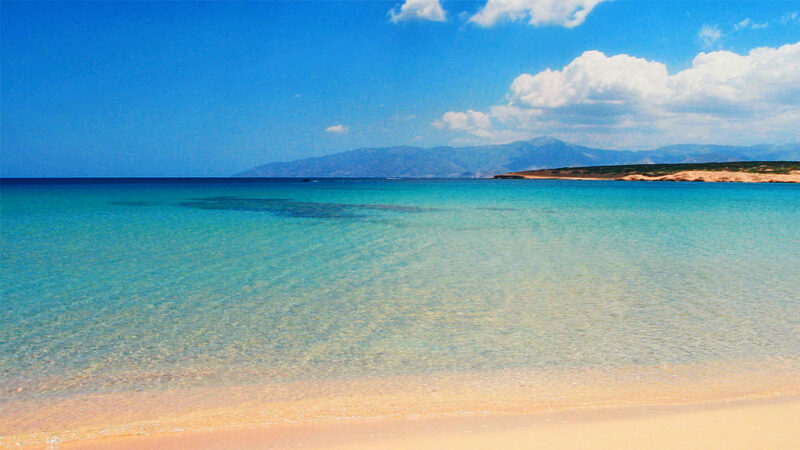 Located in the heart of the Aegean, lies approximately 5 miles west of Naxos and about 90 miles south east of Piraeus. Easily accessible with regular 40 minute flights from Athens, as well as via sea, with regular ferry boat routs from the ports of Piraeus and Rafina. 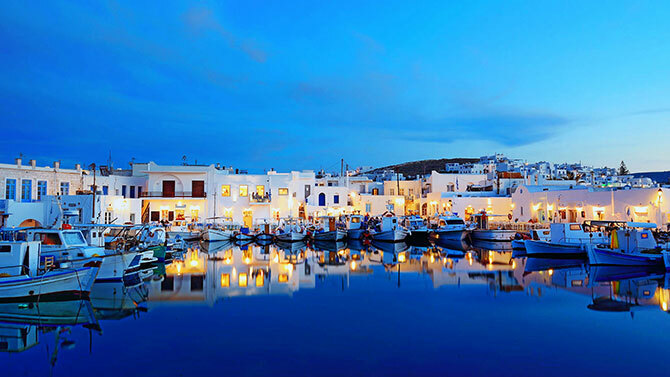 Paros is considered ideal for romantic couples, families and youngsters. It is considered one of the loved destinations for holidays in Greece, filled with natural beauties, beaches with crystal clear turquoise waters, traditional villages and extraordinary landscapes. 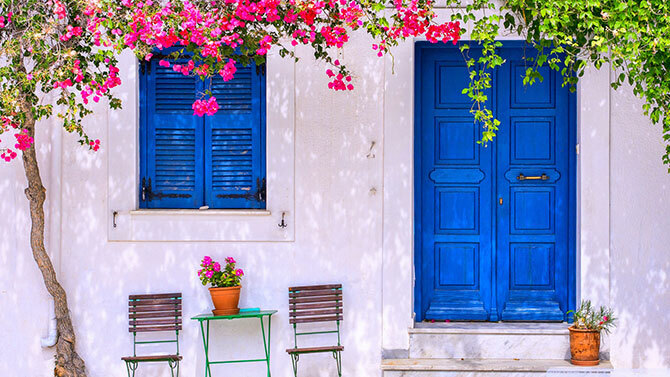 Golden sand beaches, Cycladic architecture, whitewashed houses and paved streets comprise a unique relaxing scenery. Naoussa, Parikia and Lefkes are typical traditional villages to witness Cycladic architecture. Santa Maria, Chrissi Akti, Alyki beach, Kolymbithres, Parasporos and Pounda are some of the numerous popular beaches, while Chrissi Akti hosts also the Windsurfing World Championship. 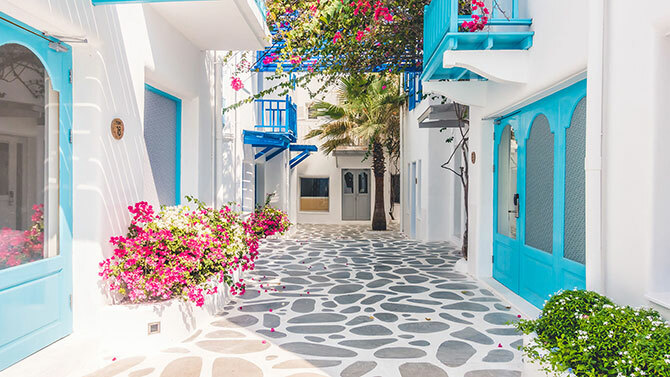 Cycladic architecture is famous for its uniqueness and charm. It’s stark aesthetic philosophy, though minimalistic in nature, yields an imposing and commanding style to its islands. The most prominent characteristic of this architectural style, are the white washed cube houses built next to and on top of one another and its fusion with rugged stone . Their smooth-edged corners give out a sense of space and freedom and the element of stone harmonizes the building with its natural surroundings. Their aesthetics wasn’t the main purpose for their construction though, since the former inhabitants of the islands were looking for ways to get protected from the strong winter winds and the intense solar exposure during the summers. 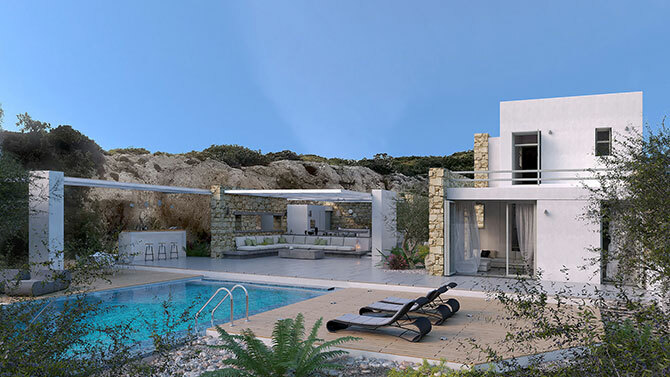 Cycladic houses are usually oriented to the southeast in order to benefit from natural light, while their walls are painted white and have a thickness of 50-80 cm meant to provide protection from the strong winds and extreme heat. For the same reason, houses would almost always have a small window on the northern side to keep the interior temperature chilly in summer, due to the fresh northern breezes (called meltemia) that blow over the Cyclades islands in July and August. Surprisingly it was a Greek prime minister, Ioannis Metaxas, who ordered (1936) to paint the Cyclades islands in white and blue colours to symbolize the white wave foams of the Aegean Sea and the blue of the Greek sky. However, the white color of the walls also serves a more natural need, because the white colors reduce the sun absorption during summer months. The architecture in Paros is characterized by the traditional classic elements of the Cycladic architecture. The austere landscape, the weather conditions (mainly the winds) and the need for protection from the invaders-conquerors in the old times were the elements that affected decisively the architecture of the Parian houses. Parts of monuments of the ancient times (Archaic, Venetian, Byzantine period) have been integrated into the stone constructions of the traditional settlements of Parikia, the capital of Paros, of Naoussa and of Marpissa. The popular craftsmen of Paros with respect to the environment came up with solutions, with artistry and wisdom, to make every day’s life easier, creating at the same time constructions of exceptional aesthetic result, which seem to be an extension of the Parian nature. Austere, small cubical houses with small windows and doors, built close to each other, one-storeyed or two-storeyed to cover more needs, with small balconies is what Parian architecture is all about. The materials used traditionally were: stone from the Parian quarries for stonework and wood, seaweed, reed and earth for the roofs and white plaster. The need for protection during the period when pirates were all over the Aegean Sea, led the Parians to choose colors to paint the exterior of their houses that made them invisible to the invaders. However, after the end of the period when piracy flourished at the Aegean Sea, they started painting their houses white. Everything everywhere is whitewashed. Whitewashing was such a frequent habit that it was sometimes part of the feasts’ preparation, a custom that still exists nowadays. The interior of a traditional house in Paros is quite peculiar. There are cabinets built into the walls and built-in sofas compatible with the house’s architecture. 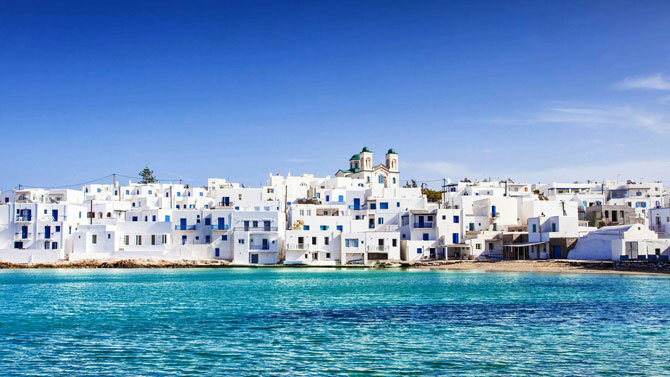 The architecture of Paros is popular worldwide for its Cycladic architecture as it is characterized by the traditional whitewashed houses with the blue windows and flowered yards. 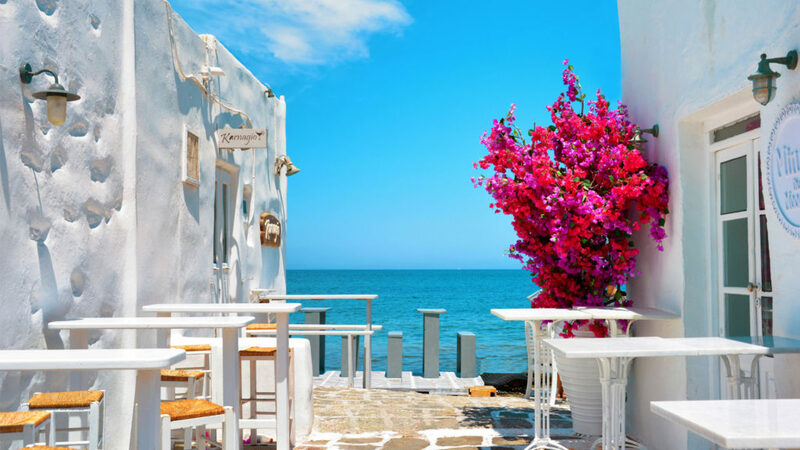 Paros frugal character, aesthetics and charm make the perfect destination full of interesting places to visit.